The stories presented in the Spring Newsletter showcase a wide range of CeRDI activities involving research and technology expertise. In October, we received news that two Cooperative Research Centre (CRC) applications in which FedUni and CeRDI are partners were successful in progressing to Stage Two. These include the Farming Smarter CRC and the Digital Health CRC. Although there is much work ahead for bid partners to complete and submit applications before a final funding decision is made, we are excited by the potential for both programs to support industry collaboration, research and advancement in areas aligned with FedUni research priority areas. CeRDI’s long-term partnership with the Corangamite Catchment Management Authority continues to evolve with recent collaboration linked to the Discover the Living Moorabool project which is focused on supporting, enhancing and protecting the Moorabool River. 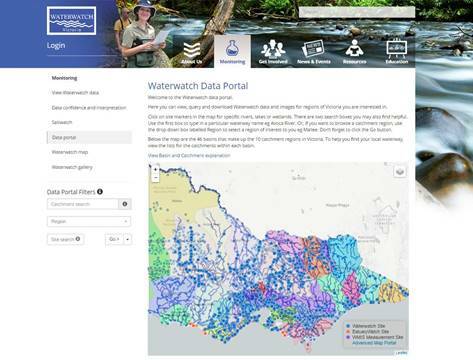 The Victorian citizen science initiatives Waterwatch and EstuaryWatch were also showcased through a joint award submission to the River Basin Management Society. Award winners were announced in late October. Enhancements to Visualising Ballarat have recently gone live as an outcome of ongoing collaboration with the City of Ballarat with enhanced public access to a range of datasets relating to Ballarat’s historic, contemporary and natural landscapes. 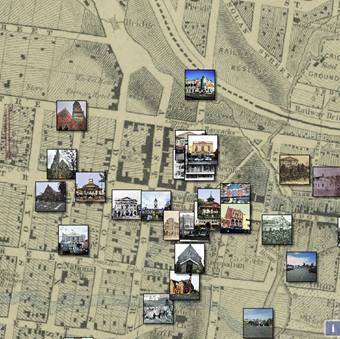 A new music mapping portal has also been established and incorporated within the companion Historic Urban Landscape (HUL). Ballarat residents are being encouraged and supported in sharing their stories about Ballarat’s rich musical heritage as part of this community-driven project. CeRDI welcomes a number or new research staff to the team and highlights their contributions in the following stories. We hope you enjoy learning more about CeRDI research and engagement activities from the stories profiled in this newsletter. On 18 October 2017 the Assistant Minister for Industry, Innovation and Science announced that six of the ten compliant applications for the 19th Cooperative Research Centres (CRC) round will progress to Stage Two. Federation University Australia (FedUni) is a major participant in two of the CRC bids that have been invited to submit a full business case: these are the Farming Smarter CRC and the Digital Health CRC. CRC grants are an initiative of the Australian Government, which aim to foster high quality research by addressing industry specific problems using a collaborative partnership model involving industry and research organisations. The Farming Smarter CRC bid outlines a 10-year research and development venture focusing on cross-sector farm issues and using technologies to drive productivity. A range of industry and research organisations are collaborating on this bid, including FedUni. 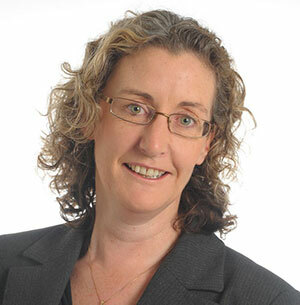 Director of the Centre for eResearch and Digital Innovation (CeRDI), Associate Professor Helen Thompson, is leading FedUni’s involvement in this CRC. FedUni has committed substantial support to this bid contributing to improvement in on-farm decision making through digital agriculture, data federation and the application of tools for precision agriculture. The Digital Health CRC bid will apply digital technology and advanced data science to enable real-time precision in the area of health. A range of health, welfare and quality-of-life and wellbeing improvements are expected through this CRC bid. Professor Fergal Grace from the Faculty of Health is leading FedUni’s research involvement, and is supported by other faculties and centre’s across the University, including CeRDI. FedUni will be actively engaging with research partners in the agriculture and health areas over coming weeks to confirm research priorities and more definite financial and in-kind commitments from research partners. The full business case is due for submission on 13 December 2017. Interviews with the CRC Advisory committee will follow on 8 and 9 February 2018. Final outcomes of the 19th CRC selection round are expected to be announced in March 2018 with funding to commence from 1 July 2018. 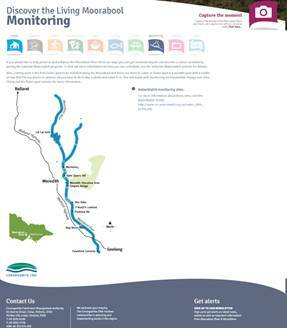 The Moorabool River project is an initiative of the CCMA and part of the Victorian State Government Rivers 2040 project. The Moorabool River project aims to enhance and protect the Moorabool River through activities that include revegetation, weed control, and fencing to exclude stock around the river banks and removing barriers to fish and platypus movement upstream. 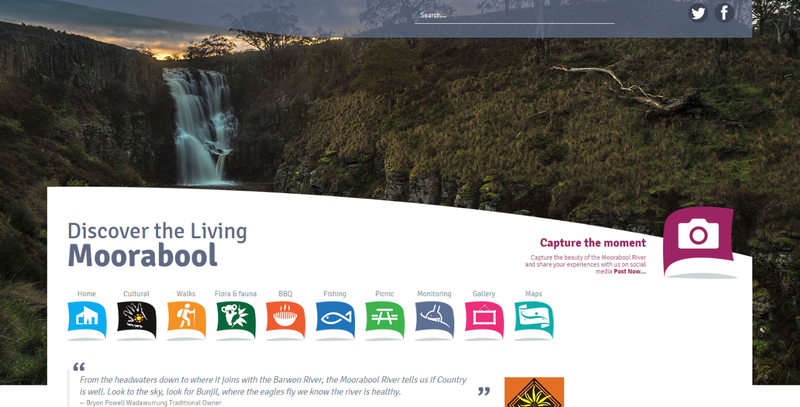 Complementary to this project is the development of the Discover the Living Moorabool website, an initiative between the CCMA and CeRDI, which was launched in September 2017. The website promotes the indigenous heritage and natural resources of the river and surrounding regions. The public can access information about places of interest relating to cultural heritage and recreational sites. Linkages have also been established to complement river monitoring activities being conducted by citizen scientists as part of Waterwatch (www.waterwatch.org.au). Waterwatch is another initiative which is supported by CeRDI researchers and technologists. Discover the Living Moorabool is generating interest for similar initiatives for other regions and waterways active in supporting the State Government Rivers2040 initiative. 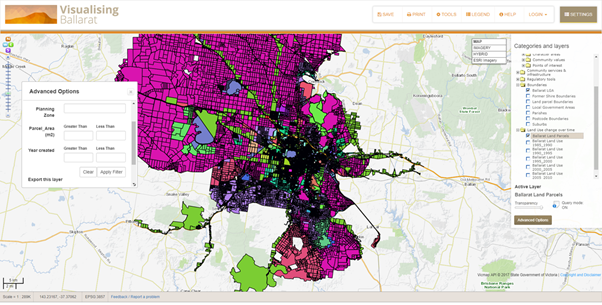 Visualising Ballarat offers state-of-the-art knowledge management and urban planning tools (http://www.visualisingballarat.org.au). 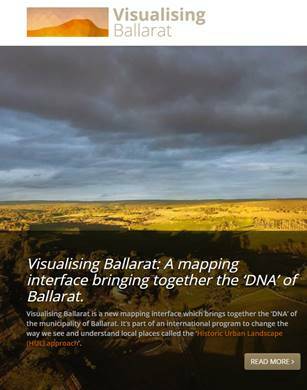 As an outcome of ongoing collaborations with the City of Ballarat, Visualising Ballarat now provides access to expanded datasets relating to Ballarat’s historic, contemporary and natural landscapes. In addition to offering direct access to complex data sets, citizen participation in the localised knowledge building processes is also being enhanced. Visualising Ballarat will support a range of research and development activities into the future. Visualising Ballarat has been designed with stakeholders, community members, practitioners and researchers in mind by identifying community values, landscape values and acceptable levels of change. The data sets available pertain to historic landscapes, trees, parks, views, and landmarks, natural landscapes, geology, services and infrastructure, boundaries and regulatory tools. Future direction setting for Visualising Ballarat and Historic Urban Landscapes (HUL) Ballarat (http://www.hulballarat.org.au) is overseen by a project control group with representatives from Federation University Australia and the City of Ballarat. CeRDI members of this group include Andrew MacLeod and Rick Pope and PhD student Shirish Sharma. Additional technology updates to Visualising Ballarat further improves the experience for website users. All data layers are available for download via the new Data Catalogue (http://data.visualisingballarat.org.au/dataset) and enhancements have been completed to the 3D capabilities which include allowing draping of historical maps of the terrain. 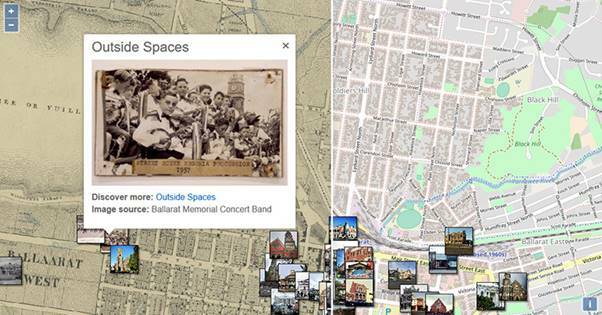 CeRDI together with the City of Ballarat have established a spatial mapping archive of Ballarat’s vibrant musical heritage. Launched on 6 September 2017, SongWays Music Mapping (www.hulballarat.org.au/songways.php) is one of the latest discovery projects available through HUL Ballarat (www.hulballarat.org.au). The SongWays Music Mapping portal offers insights about the role of music and sound in Ballarat and the surrounding regions. It documents the richness and diversity of musical heritage, which has earned Ballarat its reputation as a ‘music city’. The portal offers a unique mix of stories, visual memorabilia and brief videos that are mapped to some of Ballarat’s most iconic music-making sites. Currently the portal has music-making stories associated with key landmarks that include Ballarat’s bandstands, the Courthouse at the School of Mines Ballarat, the Bridge Mall Inn and the Main Road Precinct. As a portal designed for community input, residents are encouraged to share their stories and memorabilia about music and space around Ballarat. Contributions can be uploaded online enabling these experiences and reflections to be shared, showcasing a unique perspective of Ballarat’s musical heritage. This project complements and extends the work associated with HUL Ballarat and Visualising Ballarat. These projects have been designed to assist stakeholders, community members, practitioners and researchers to collaborate and identify community values, landscape values, with information about acceptable levels of change and to provide certainty as to priority development to attract and support. The CeRDI team have contributed widely to the development of both HUL Ballarat, and more recently, the SongWays Music Mapping Portal, ensuring the development of an interactive web portal that engages the community and enables users to easily access authoritative and credible information. Corangamite Catchment Management Authority (CCMA) submitted an application to the River Basin Management Society (RBMS) 2017 awards for two citizen science programs, Waterwatch and EstuaryWatch. CeRDI collaborated with the CCMA on both projects, contributing to all aspects of associated research and technical redevelopments associated with the projects and data portals. The projects were entered into the RBMS award category ‘Involving Community in Waterway Management’ with both Waterwatch and EstuaryWatch representing community-based data discovery promoting citizen science. Waterwatch facilitates community involvement in river health and sustainable water practices and encourages community members to become participants in their local environment through waterway monitoring and ongoing activities. 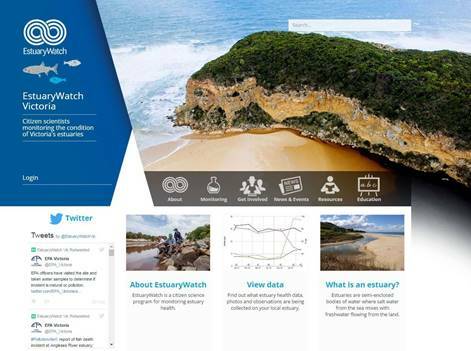 Similarly, its sister site EstuaryWatch promotes the monitoring of estuary health and local waterways across 18 Victorian regions, and is supported through involvement of local catchment management authorities. CeRDI, under the project leadership of Dr Birgita Hansen, ensured that both portals were redeveloped to maximise access for users and to essential resources, current information and data. The portal support rapid data interrogation with visualisation tools and interactive maps for accessing region-specific data. Direct upload and download of data about local waterways estuaries ensures more the rapid dissemination of each program’s monitoring achievements. A major outcome from the redevelopment is more effective communication of citizen science outcomes and ease of data access. This enables the prompt exchange of information between organisations and community groups. Volunteers from the community that monitor and submit data to the portals have embraced the changes and are proud of the way in which water quality data and observations are being presented in an engaging and accessible way to a wider audience. The CCMA has observed an increase in the confidence and trust in the citizen science data which is assisting to inform waterway management outcomes.The RBMS awards night was held in late October. 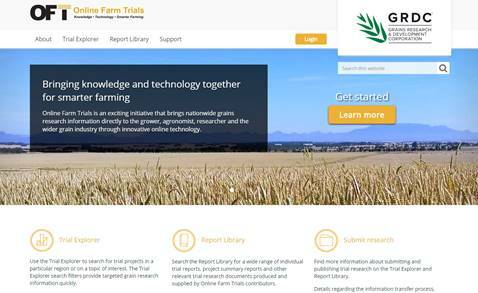 CeRDI is working with the Grains Research and Development Corporation (GRDC) to develop, promote, support and maintain an online platform for farm trial results across Australia through Online Farm Trials (OFT). OFT aims to improve access to, and adoption of, grains industry research data and information to help growers enhance productivity and sustainability of their farm enterprise. To plan for the future expansion and to enhance OFT, a research audit is currently being undertaken by CeRDI researchers, funded by GRDC. The aim of the audit is to engage with current and potential future contributors to OFT and prepare a strategy for its future development. Participation is invited through completion of an online industry survey, or an interview. This data will assist CeRDI researchers in measuring the benefits and limitations, gaps and opportunities as well as the barriers and enablers around the expansion of the OFT project. It is anticipated that this research audit will reach over 200 organisations and entities including grower/farming systems groups, landcare groups, agronomic consultancies, government departments, independent research organisations, universities and private organisations (other than agronomic consultancy). Dr Ben Wills, Julie Parker and Rob Milne, together with other CeRDI research staff, are conducting this research. The findings are expected to offer important industry insights about OFT. A range of recommendations for future OFT engagement and targets for data acquisition and quality planning, will be outlined in the audit report. This research will also be used in the development of journal and conference papers. Sport and Recreation Spatial has received a national award from Parks and Leisure Australia for the best research project. Winners of the National Award were announced in late October during a gala dinner on the Gold Coast, Queensland. The awards were attended by Sport and Recreation Spatial leader Associate Professor Rochelle Eime from FedUni and Victoria University. In responding to this latest award, Associate Professor Eime commented that “Sport and Recreation Spatial research is all about investigating sport and recreation participation and facilities, and health outcomes for evidence based decision making. It is an honour to receive this award and we are grateful for the recognition from the sport and recreation, government and health sectors”. Parks and Leisure Australia is the peak industry association for professionals working in the Parks and Leisure sector. With over 2500 members, the organisation supports activities that strengthen community through leisure activities that contribute broadly to the social, economic and physical wellbeing of Australians. The awards recognise extensive achievements in the leisure and well-being related industries, including research supporting wellbeing through leisure. 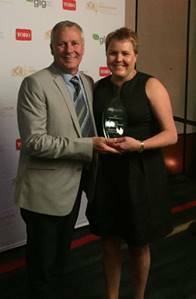 This is the second award for Sport and Recreation Spatial from Parks and Leisure Australia. In May 2017, the Award of Excellence in the Research Project category for Victoria and Tasmania was received http://www.cerdi.edu.au/cb_pages/news/SRSaward.php. The project was subsequently entered into the national awards. Sport and Recreation Spatial offers an extensive collection of national and state-wide data about sports participation, sport and recreation facilities, population demographics and population health from multiple data custodians. It includes over four million sport participant records from leading sports. The research team provides extensive knowledge to the sport and recreation sector about sport participation, facilities and health. This latest award recognises the research analysis and reporting for local and state government. Sport and Recreation Spatial is a collaborative program of research between the Faculty of Health (FedUni), the Centre for Research and Digital Innovation (CeRDI), and the Institute of Sport, Exercise and Active Living (Victoria University). Conferences: CeRDI’s Associate Professor’s Helen Thompson and Pete Dahlhaus, together with Rob Milne recently attended the 18th Australian Agronomy Conference in Ballarat, 24-28 September 2017. Pete presented a paper entitled ‘Towards data democracy in digital agriculture’, and was chair for the ‘Enabling technologies’ conference session. Scott Limmer, CeRDI’s systems analyst programmer, attended the Australasian eResearch Organisations National einfrastructure Review Workshop in Canberra, 4 - 5 September 2017. The conference facilitated presentations and discussions about Australia’s current and anticipated strategic eResearch infrastructure. GovHack 2017: CeRDI programmer Peter Plucinski together with fellow Ballarat GovHack 2017 team members were awarded the Victorian State Award for their work on a comparison of city versus regional living standards. GovHack is a volunteer-run competition and community development project where creative and innovative minds join forces to explore and discover new ways of using government data for community benefit. The CityZen team were sponsored by the City of Ballarat Commerce Ballarat Demographics – What makes Ballarat and where are the gaps? The team also received an Honourable Mention in the Australian Bureau of Statistics Censational Hack at the GovHack International Red Carpet Awards in Brisbane in October. CeRDI staff updates: Four new staff members have recently joined the CeRDI team; Dr Nathan Robinson (Senior Research Fellow, Soil Science), Dr Ben Wills (Research Fellow), Martijn Schroder (Business Innovation and Optimisation Manager), and Julie Parker (Project Officer). Research officer Dr Judi Walters, who joined CeRDI in 2015, is leaving CeRDI to pursue further postgraduate studies. We wish her every success for the future. Sudeera joined the CeRDI technical team as a web developer in September 2013. 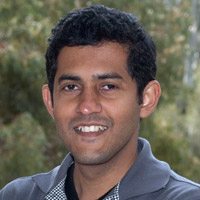 Prior to this, Sudeera was employed at the University of Colombo, Sri Lanka, as a web administrator after completing his Bachelor of IT from the School of Computing, University of Colombo in 2008. Since joining CeRDI Sudeera has contributed to the CeRDI Helpdesk support, web and front-end development and with standardised IT systems, including HTML, JQuery, Bootstrap, and Wordpress. Sudeera has also been involved in a range of CeRDI projects. He recently developed the Project Summaries for Grains Research and Development Corporation (GRDC). This tool allows project summaries to be edited and published directly to the web, and also includes a visual reporting feature. Sudeera has also contributed to the development of the biodiversity reporting tool for Visualising Victoria’s Biodiversity (VVB). VVB is an online portal that provides the Victorian community with access to a wide range of spatial information on Victoria's environmental values, conservation activities and research. Sudeera has also been closely involved in the Discover the Living Moorabool. Currently, Sudeera is working with CeRDI researchers on the Dementia Care in Hospitals program. This project includes the development of an education package with interactive content developed in the Moodle learning management system with capabilities to track and monitor which staff have completed the training program. Sudeera has a keen interest in front-end web development and responsive web development and during the time he has been at CeRDI, he has further developed his skills in programming and geospatial technologies. Angela commenced working with CeRDI as a Research Officer in July 2017 after graduating with a PhD from the Australian National University. She has a diverse research background encompassing both earth sciences and social sciences with a BSc/BA with honours in geology and archaeology from the University of Queensland. Her previous research and PhD thesis combined these disciplines using methods from geology, geomorphology, geographic information systems (GIS) and archaeology to study prehistoric landscapes, cultures and stone artefact technology in desert Australia and Hawaii. Prior to working with CeRDI Angela worked as a cultural heritage advisor and archaeologist for consulting firms in Victoria, South Australia, New South Wales and Western Australia. This work involved collaborating with Aboriginal communities to provide archaeological investigations, impact assessments and management plans in areas of proposed mining and urban development. She has also worked in local government as a community projects officer, liaising with Aboriginal communities and developing public education and participation programs for environmental sustainability. This diverse background has provided a unique range of experiences and skills that Angela brings to her role in CeRDI including quantitative and qualitative research in geo and social sciences, GIS, stakeholder collaboration and project management. Angela is currently working on key projects under the guidance of Associate Professor Peter Dahlhaus. This includes an update of the Visualising Victoria’s Groundwater (VVG) online spatial portal (http://vvg.org.au/) and the integration of a range of new datasets and resources from research projects in groundwater and hydrogeology. By visualising groundwater resources and their associated geology, VVG assists the general public, students and stakeholders in better understanding and managing this important natural and economic resource. Angela is also assisting the CeRDI team on projects in digital agriculture. Angela is excited about the development of research within CeRDI in the fields of natural resource management, digital agriculture and cultural heritage and of the future potential for eResearch to transform research, resource management and community participation. Chris Bahlo presenting at the Asian-Australasian Conference, Hamilton New Zealand. 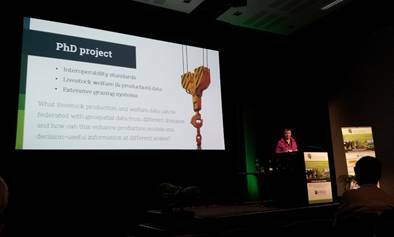 Chris Bahlo recently attended and presented at the Asian-Australasian Conference on Precision Pastures and Livestock Farming which was held in Hamilton New Zealand, 16 – 19 October 2017. Congratulations to PhD student Patrick Bonney who successfully completed his confirmation of candidature in late November. Pat's project is titled: Citizens as monitors: Crowdsourcing for water policy development. measuring the impact of eResearch and digital innovation through longitudinal research. I would like to subscribe to the CeRDI Newsletter Mailing List to receive notifications of future CeRDI Newsletters.